Hello there, and welcome to all you malfunctioning, nearsighted scrap piles. Yes, it is that time again where I plummet into this somewhat bizarre mind of mine and try and uncover some coherent thoughts for you lovely people of this here internet. This week I just want to touch on upcoming Star Wars Battlefront II. The invite-only closed Alpha took place last week and, as a result, some rather interesting details have been uncovered. In ways, I will never understand, some clever computer geniuses have managed to not only get their hands on the game's code but, understand it enough to decipher the playable heroes available to play as during multiplayer. EA has also announced that Battlefront II will be getting some free DLC during its lifespan (two years if we go by previous EA releases) so, if Battlefront II follows the 2015 release, there will be more heroes made available. Here are five characters that DICE should be including in future content. This one really goes without saying. During the E3 conference last month, EA's main showcase was, of course, Battlefront 2. 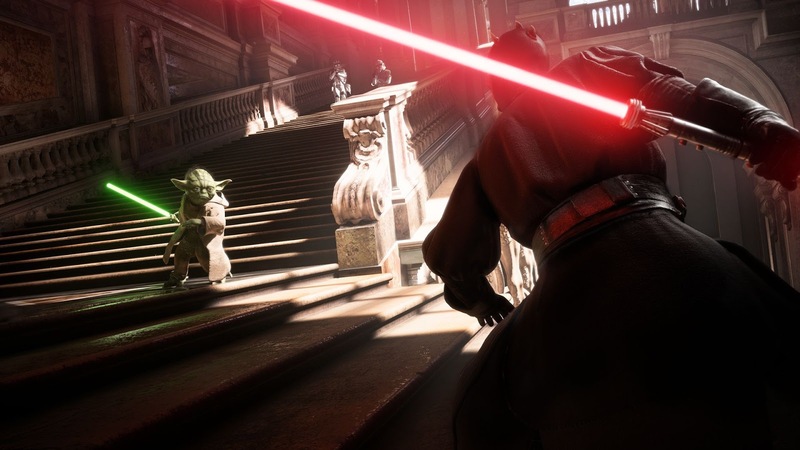 We were treated to gameplay from the Battle of Theed multiplayer mode. The Battlefront II multiplayer modes are, of course, not considered canon as they feature characters that were not present during the films. The obvious example is that the hero of choice for the Republic is Rey. The hero choice for the Separatists is Darth Maul so, wouldn't it have made complete sense to include Master Qui-Gon? It is an exclusion I cannot really get my head around. Players would be desperate to reenact the duel between Maul and Qui-Gon. 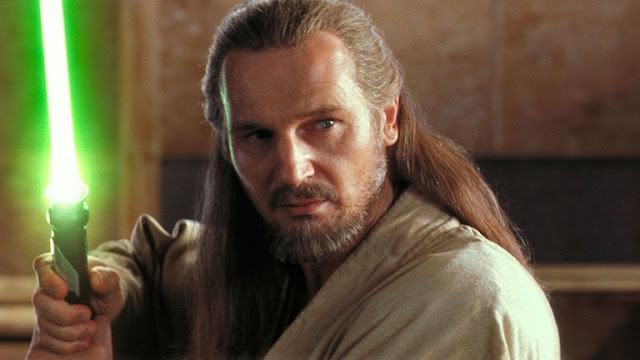 Picture it; you find the hero card for the Republic and you rejoin the game as Qui-Gon Jinn. Maul is already out there, slashing away at all the Clone Troopers. You see him in the distance and as you rush forward to meet your foe, the "Duel of Fates" kicks in. This epicenes needs to happen! 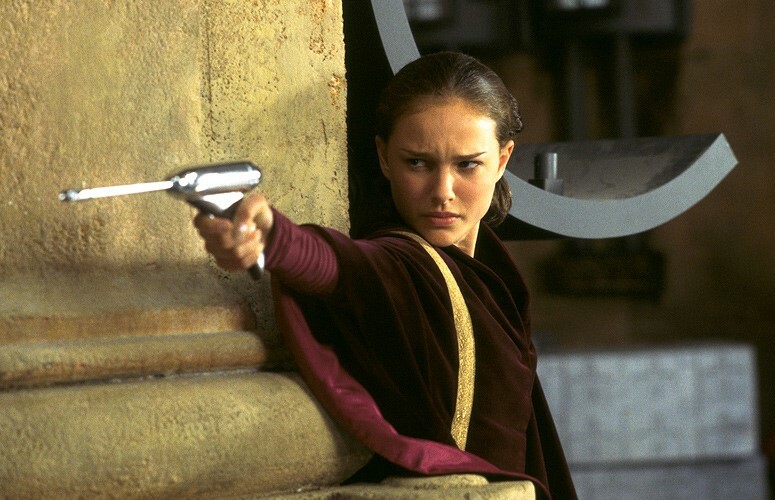 Padmé Amidala is someone who can sure handle themselves when a battle kicks in. Where it is tremendous fun in the Battlefront series to play as a lightsaber wielding hero, playing as the blaster carrying heroes is just as enjoyable. Padmé would pretty much play as Leia does but, in keeping with content from all eras, it would be great to have such an important character in the saga's history as a playable hero. Running around shooting the clankers as Padmé would be a blast, literally. She could slot into pretty much any Prequel-era map or, just for fun, have her pop up in an Original or Sequel trilogy map, because, why the hell not? If Padmé is included then it would be great to use her Episode I incarnation as two Naboo guards could spawn with her, like Leia has with the Alderaanian Guards. I know I know, I've cheated by putting in two together but, for good reason. One of the most popular maps on the original Battlefront 2 was Mustafar where you could play as Obi-Wan or the fallen Anakin. A bit like the wish with Obi-Wan's former master, WE ALL NEED TO REENACT ANAKIN AND OBI WAN'S FIGHT! Sorry, I have composed myself now. This really is crying out for a mode all on its own here. Never mind just finding a hero card during a normal multiplayer match, EA, give us a 1v1 of Anakin vs. Kenobi on Mustafar. With the "Anakin vs. Obi-Wan" soundtrack in the background, the lava of Mustafar burning away in the background, this would make for some seriously intense and epic gameplay. EA could even add in an alternative ending if the player controlling Anakin wins, just like the official Episode III game did. If EA doesn't make this? Well, to be honest, they'll obviously be a part of the Rebel Alliance and a traitor. Good old Rex was one of the most popular characters from The Clone Wars and, thankfully, he was brought back in Star Wars Rebels. The former Captain in the 501st would make an excellent edition to Battlefront 2. 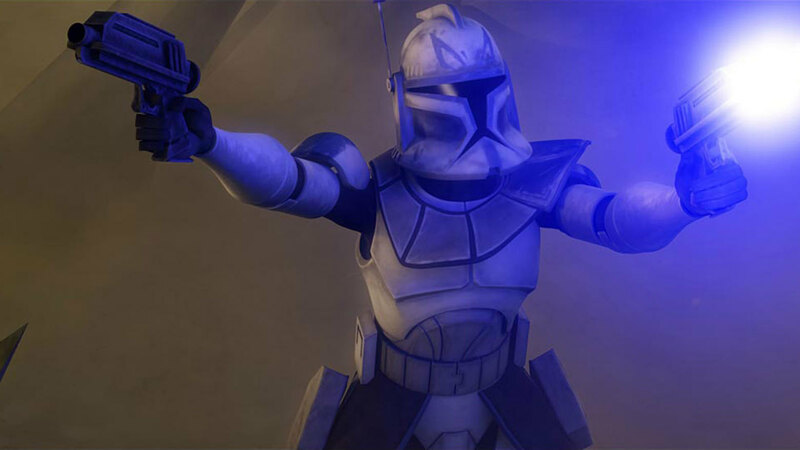 It would be great to run around as Rex with his duel wielded DC-17 blasters, shooting at anything that isn't one of his beloved brothers. Secondly, it will show just how important both Clone Wars and Rebels is to the Star Wars saga if one of the animated characters gets such a high-level appearance. I would also love to see a Captains showdown between CT-7567 and Phasma. Also, a certain Dee Bradley Baker is already providing the voice work for the Clone Troopers for Battlefront II, surely Rex isn't total impossibility? One of my favourite characters of the whole saga is Ahsoka Tano. She is a strong, fiercely loyal, caring character who, when the time comes, can kick some serious behind. A bit like with Rex, this would just be huge for fans of the animated shows to see one of the most loved characters in the history of Star Wars come to life in an AAA video game. Whether it be her Clone Wars or Rebels incarnation, I don't care. 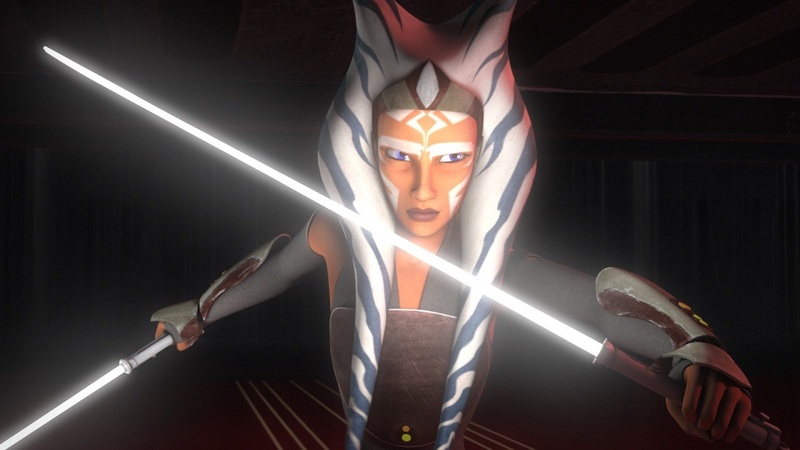 All I want is to run around a map as Ahsoka with those elegant lightsabers of hers. The fact she wields two lightsabers would also make for some great attack animations as she takes to the battlefield. Even though the multiplayer isn't canon, Ahsoka would be home in both the Prequel and Original trilogy settings, either destroying those clankers or dealing with the bucket heads of the Galactic Empire. Also, to carry on this on-going theme of rematches in this article, Vader vs. Ahsoka again anyone? There are, of course, a plethora of characters I have missed out here (still got my fingers crossed for Jar Jar). This was actually one of the hardest top 5 lists I have compiled. Feel I've got it wrong and should have included someone else on this list? let us know in the comments below and, as ever, Peace is a lie and May the Force be with you.